We have lots of interesting tidbits to share today so let’s just jump right into it! Our post today will feature some of the latest resources we’ve come across this spring in the ESL/EFL and counseling worlds…summer English activities, Memorial Day lessons and other cultural resources, suicide prevention, and LGBT awareness. More on all this in a bit, but first, let’s start with some updates. As always, we've included a lot of helpful resources- just click on the green links which will take you right to an article, video, or product you can use after you leave a comment below. Get ready for our latest counseling guides, Stress Blasters and Get Your Goal On! These 2 books on antianxiety techniques and academic achievement strategies are starting production as soon as we begin our summer break in June. Look for updates, free preview downloadables, and ordering details on our website or FB page below! Our Spring eblast is coming! If you aren't already on our enewsletter mailing list, sign up by filling out the form on this webpage to the right. Then, we can send our newsletter filled with free counseling/ESL/EFL resources right to your inbox! We are continuing to churn out our newest teaching guide, ESL in the Middle: Lessons Guide for Teaching Intermediate Students. A sneak peek and freebie downloadable from this intermediate ESL/EFL teaching guide is now available on the left side of our homepage! ESL/EFL MEMORIAL DAY & SUMMER ACTIVITIES... PLUS CULTURE RESOURCES! As happens every year in May, schools are gearing up to work with Newcomer students over the summer to give them that extra push into language that will help propel them along for the next school year. In researching some of our own summer-themed ESL/EFL activities for the latest guide we are writing, ESL in the Middle, we’ve found and created some fun and free summer-themed ESL/EFL activities below that you can use with your ELL or Newcomer students. In addition, we came across the most amazing set of maps of the English-speaking world and culture. Plus, the map explanations sum up our reasoning behind writing the Bilingual Learner Culture Explorer guides where students can learn about and experience various aspects of the "English-speaking culture." 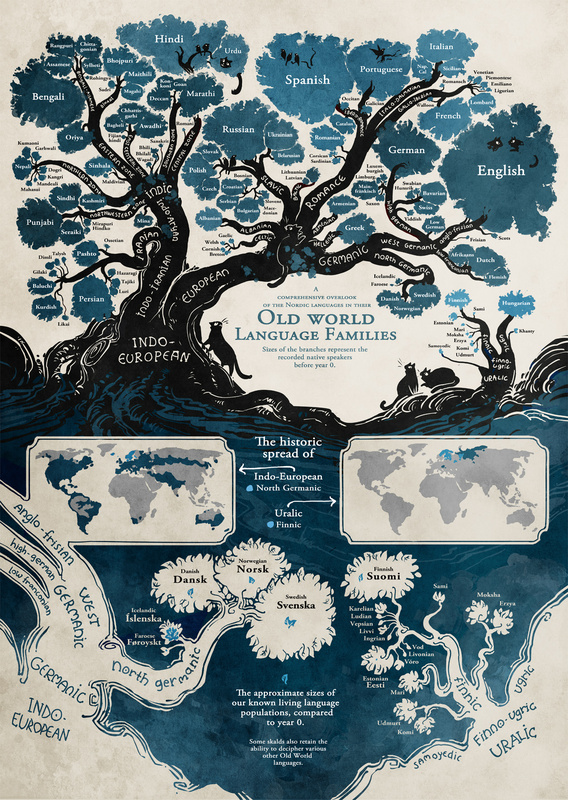 25 Maps that Explain the English Language! "English-speaking culture" right here, folks! Plus check out maps #7-10 to see exactly how the "English-speaking culture" took root and spread. For an actual assessment that you can use to gage the levels of your ESL students this summer, check out our own! Lots of Super Fun Field Trips! A sad but very frequent reality that counselors have to deal with is suicide prevention. Suicidal Ideation (thinking about, considering, or planning for suicide) is something every counselor will come into contact with as they treat their students/clients. For that reason, we’d like to include some of the best resources we’ve come across that will help you reach out to your kids who are battling this monster. We are superfans of New York Times writer, David Brooks, so when we came across his terribly insightful and poignant piece, "The Irony of Despair," we had to share. Brooks shares “Jennifer Michael Hecht’s two big counterideas that she hopes people contemplating potential suicides will keep in their heads,”—these 2 ideas are real gems that you might consider sharing with your own people. The second resource is an article from the Pulitzer Prize winning magazine, The Gazette, out of Colorado. This article gives some great facts about suicide and then goes on to describe a suicide prevention program that a local school district is using to have peers get the message across about warning signs and prevention. Here’s a link to an amazing free suicide prevention manual, especially created for school personnel (but just as good for the clinical scene) that you can download. And the final resource we have to share is from one of our favorite online video resources, Wellcast. Here is their wonderful, wonderful video to share with anyone you know who is battling thoughts of suicide. And finally, we’d like to wrap up with a few words about and resources for the Lesbian, Gay, Bisexual and Transgender (LGBT) movement that is really gaining momentum in reaching out to young people and providing a safe place for countless numbers of youngsters struggling with their own gender identity. This Wellcast video gives some great ideas that counselors can use in talking with students/clients conflicted over their identity. The video also provides a thorough list of further resources at the end. Here is the video we love most from the It Gets Better Project. The Trevor Lifeline is a free and confidential crisis intervention and suicide prevention lifeline for LGBT youth available 24/7 anywhere in the US. And finally, we’d like to sign off with this touching Golden Globes acceptance speech from actor Jeffrey Tambor celebrating the courage, creativity and patience of the transgender community. That brings us to the end of this month's post. Catch up with us again the first Saturday in June for our next post on ending your counseling sessions and wrapping up your ESL/EFL classroom for summer break. As always, you can find out about our latest promotions, free stuff, or our counseling/ESL/EFL adventures by following us on our Facebook Page or Twitter Page or Pinterest Page. Wait!! Did you find this post helpful? Then...One sentence! That's all it takes to show that our hard work helped you out! If you found a great resource here, please show us your love and comment about it below!